Kenya’s capital city, Nairobi is an unavoidable stopover on many itineraries. Nairobi has some very creditable must-sees and standout attractions, on top of the list; Nairobi’s remarkable National Park. We have attached a more comprehensive copy in the pack, regarding the city’s wild. Meanwhile, here are some of the places which capture Nairobi’s beauty. The Nairobi National Park is one of the oldest parks in Kenya. The park is a short drive out of Nairobi’s central business district. Covering 117km², the park is home to dozens of species of plains wildlife: including wildebeest, impala, zebra, hippo, waterbuck, eland, jackal, hyena, cheetah, and over 400 migratory and endemic bird species. There are several very worthwhile activities in Karen & Langata, including the captivating elephant and rhino orphanage run by the David Sheldrick Wildlife Trust, where you’ll get close encounters with tiny pachyderms; the Rothschild Giraffe Centre run by the African Fund for Endangered Wildlife, where you can look into the eyes of a giraffe at treetop height. Karen holds a number of interesting crafts shops and workshops; including the Karen Blixen Museum, named after a Danish Author, Karen Bilxen, famous for her book Out of Africa which chronicles life at the estate. The Village Market and Maasai Market are also famously known for their curios. Kenyatta International Conference Centre, rooftop views of the city presents one with a 360 degree view of Nairobi’s busy city life. The National Museum is definitely a place to visit. Visit the Museum for an introduction to Kenya’s rich heritage. Bomas of Kenya is a must visit to all visitors. Situated 10km from Nairobi city center, and about 1 km past main entrance of the game-filled Nairobi National Park, Bomas of Kenya lets you see the wonderful diversity of cultures that make up this fascinating country. At Bomas, different aspects of Kenyan culture are displayed including living styles, crafts, music and dancing. The word Bomas was derived from “Boma”-a Swahili word for enclosed homestead and there are now many different “Bomas”, each one representing one of Kenya’s major ethnic groups. You cannot afford to miss the most exciting traditional dances and acrobatic show which start at 2.30pm to 4.30pm during weekdays and 3.30pm to 5.15pm weekends and public holidays. The Norfolk, a Nairobi landmark since opening its doors in 1904, and now a Fairmont hotel, has been completely refurbished in recent years, but you can still taste a little of the flavor of old Nairobi, and its Lord Delamere Terrace is a nice spot for afternoon tea. Sarova Stanley, in the very heart of the CBD, is almost as emblematic of old Nairobi, and boasts the Thorn Tree Café – where an old fever tree with a notice board was once visited by almost every traveler in Nairobi. The tree has been replaced – and the notice board is no longer very busy – but the café is still a nice retreat. Just to the north of the CBD, the suburb of Westlands is a bustling district of shops, malls and offices. Rising up in the middle of it, the impeccably managed Sankara offers superb facilities and comfort – including six different restaurants and bars, and East Africa’s only Angsana spa. Tribe. It’s an enjoyable, self-consciously hip hotel with innovative interior design, African artifacts and a chic, late-night vibe. From Tribe, it’s a one-minute walk to Village Market, the city’s best mall, leisure and entertainment centre, and also close to one of Nairobi’s best green spaces, the beautiful Karura Forest, where you can safely birdwatch, walk to caves and waterfalls, or go for a run. The Ole Sereni, often used by air crews, directly overlooks the north-east corner of the national park and is quite close to Wilson Airport, used by most safari flights. The rooms aren’t huge, but they do the job; there’s a pool terrace; and the food can be very good. As a more affordable airport area alternative to the glitzier Ole Sereni, the neighboring Eka Hotel offers a decent Nairobi stopover option with good facilities and a small pool. Nairobi has a moderate climate, tempered by its high elevation and tends to be less hot than the rest of Kenya. As the city is near the equator there is little variation between the seasons and generally people talk about wet or dry seasons as opposed to summer, winter, spring or autumn. However, summers, between November and February, are warm and pleasant, with temperatures ranging between 50°F (10°C) and 77°F (25°C). Winter days, between June and August, are mild with slightly cooler evenings, but temperatures much like summer. The rainy season in Nairobi is during late summer and into autumn, when it is often cloudy and damp, but rainfall is seldom very heavy. Short rains are expected in the months of March to May and October to December. Generally visitors flock to Kenya in the country’s dry seasons, between January and March, and July and October, because these are the best months to go on safari in the national parks. 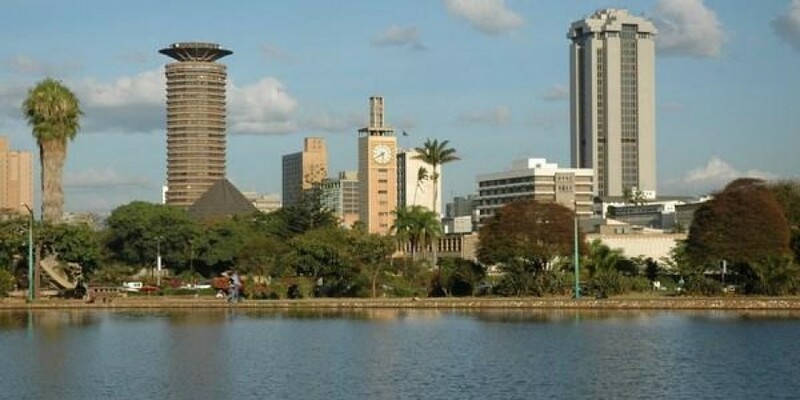 The best time to visit Nairobi is in summer, between November and February, but ultimately any time of year is okay in the city and it is recommended that visitors decide on the time of their visit to Kenya according to their desired activities rather than the city’s climate. Luggage: Most of our travel in Kenya is by light Aircraft, with a luggage restriction of 15kg, packed in a bag. On safari, you will need casual, comfortable clothes. Pack light as January –March is one of Kenya’s hottest and driest season. This is the reason why January to March makes a perfect environment for Kenyan Safaris. Currency: The currency is the Kenyan shilling. Shillings can be obtained before departure and US dollars are also widely accepted. Health: Always talk to your doctor before you travel. Malaria is prevalent in Kenya and anti- malaria tablets are essential. Polio and tetanus boosters are sensible, and if visiting other African countries as well as Kenya, a yellow fever certificate (or exemption certificate for older people) may be required. Language: English is the official language, though Swahili (known to its speakers as Kiswahili) is widely spoken. Food: Standards are generally high, invariably based on local garden produce, beef, lamb and seafood. Tusker is a popular local beer, and imported wines are widely available. Nyama choma, meaning “barbecued meat” in Kiswahili, is Kenya’s unofficial national dish. The aptly named, open-air Carnivore, tel: (+254-20) 605 933, is one of the better places in town and serves up such exotica as crocodile, ostrich and camel. A set meal costs about $20.